Hi, guys! I’ve decided to use today’s post to share a fun craft tutorial with you. 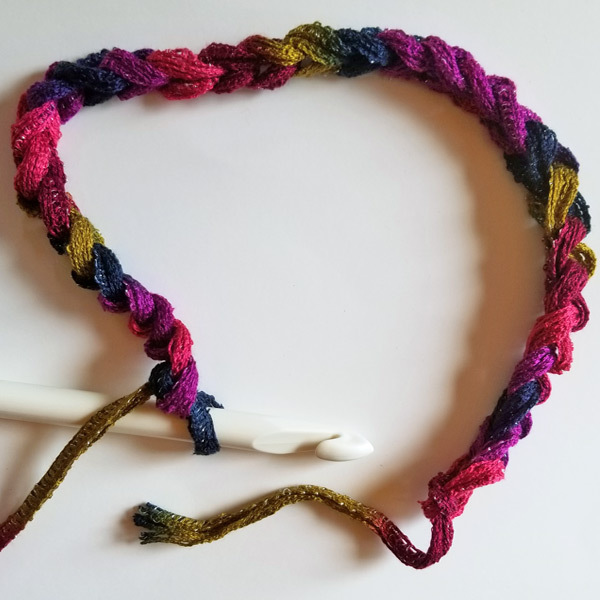 This cute (and very easy-to-make) cowl is something kids, teens, and adults will enjoy wearing, and uses only three stitches: chain, single crochet, and slip stitch. 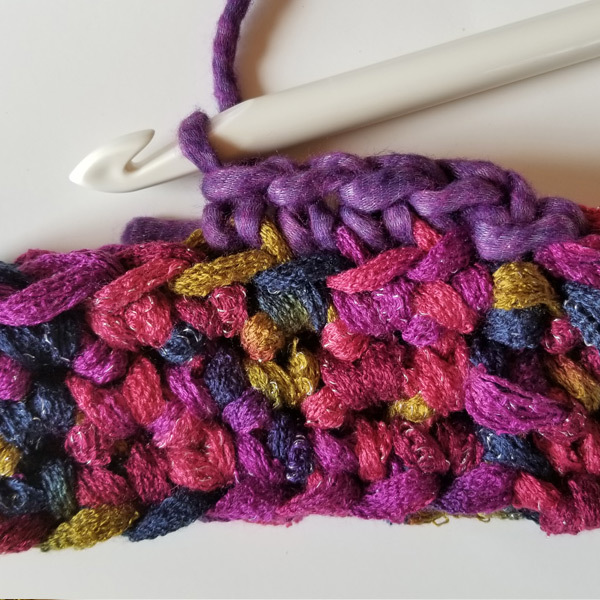 I’ve written this post more for kids and teens, but this cowl is something anyone of any age and skill can easily work up in an hour or less. 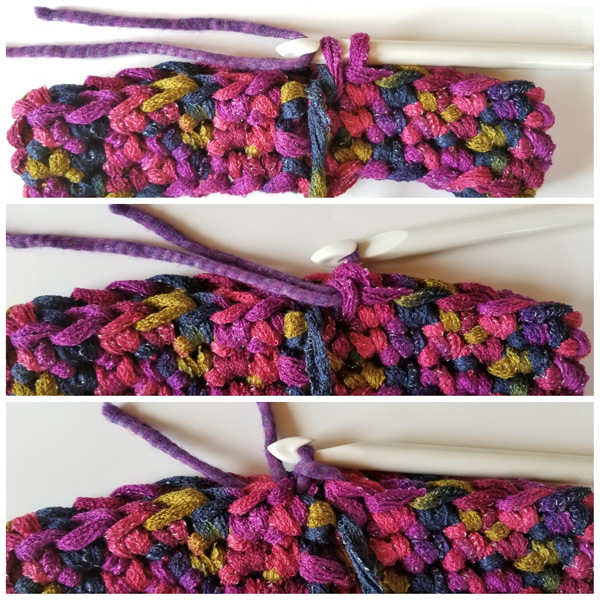 If you know how to crochet, and know the names of the stitches, but are not sure how to read a crochet pattern, I’ve included a quick tutorial below. If you already know this stuff (and I imagine most of you do) keep scrolling down to get to the pattern. If this is your first time looking at a crochet pattern, you may be wondering what all these letters are for. To save space and time when writing down a pattern, designers use abbreviations. The nice thing is that most of these terms make a lot of sense since the first letters of the stitch (i.e. sc = single crochet) are frequently used in patterns written in American English. Many patterns also have extra information that will explain special stitches, or additional notes on how to work the pattern. It is important to read all the notes before you start; otherwise, you might have to rip out (undo) all your hard work! In the crochet community this is referred to as “frogging” (“rip it” sounds a bit like “ribbit”). ? The way you would interpret terms in a pattern is as follows. (I’ll be using part of the cowl pattern below to explain). In simple English, Round 1 tells you to make 30 chain stitches, then instructs you to join the ends of the chain with a slip stitch. This will form a circle. Round 2 tells you to make one chain as you start the new round, then to make a single crochet in each chain (these are the chains you made in Round 1). Rounds 3 and 4 will be the same as Round 2. The number 30 in parentheses () at the end tells you how many stitches you should have in your round when you finish it. 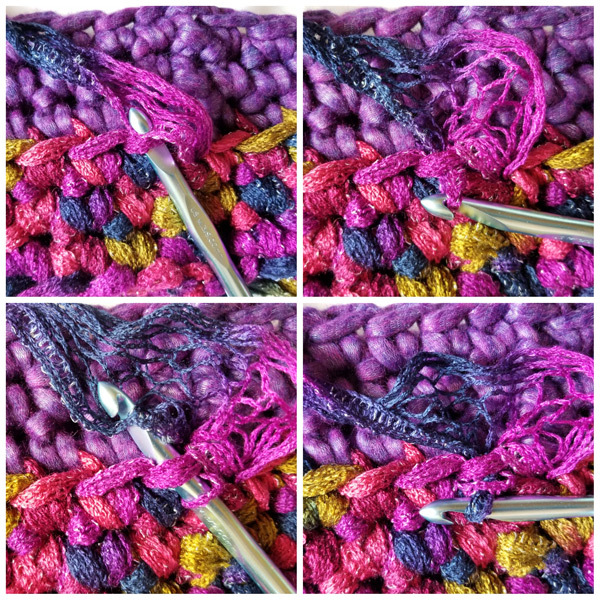 Proper stitch counts are very important for quality crochet work! One extra item of note: If you see instructions between two asterisks (*), that means you need to repeat what is inside of those asterisks until you reach the end of the round. 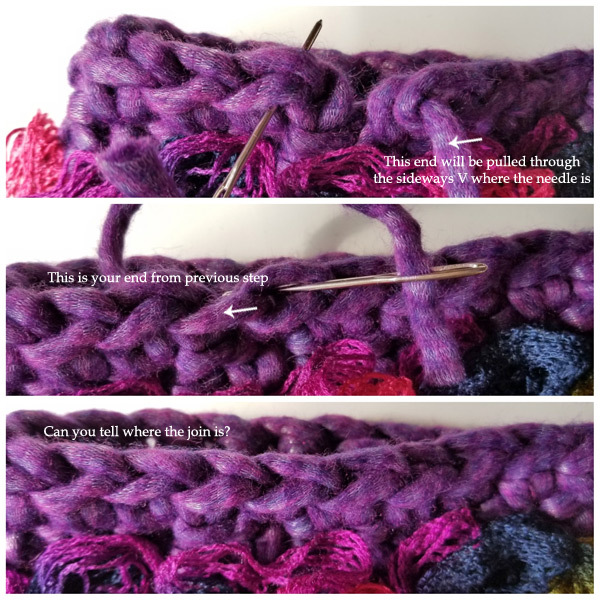 Measurements will tell you how big your project is supposed to be when it’s completed, and gauge tells you how big or small your stitches are supposed to be. 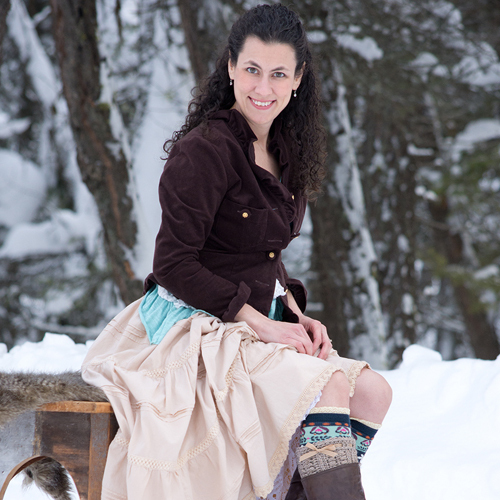 In this particular cowl pattern, each stitch should take up about an inch. The yarn is very thick, so that shouldn’t be a problem! 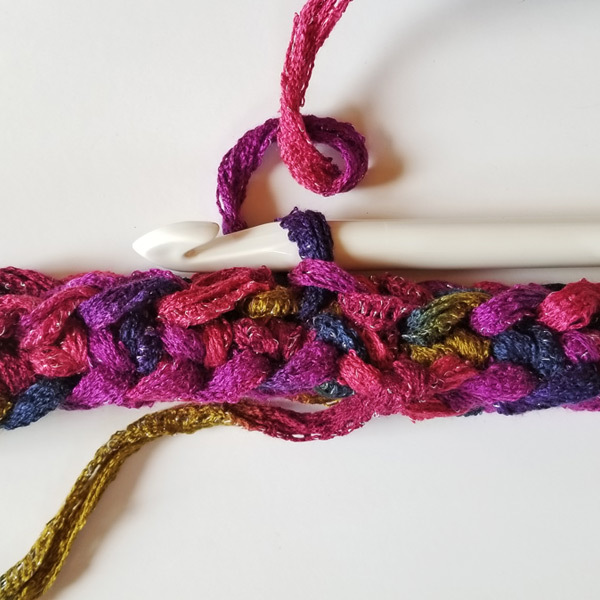 However, if you crochet tightly, you may want to use a larger hook than the one I used. Everyone’s tension varies, so making a gauge swatch before starting can be helpful, especially if the piece you make will be fitted (gauge is not as important with this cowl as it would be for a hat, for instance). If the above instructions make sense, let’s move on to making the cowl! BLO = back loop only. Work all stitches for the round in the back loop. How to find the back loop: look at the top of your stitches, they should look like sideways V’s. The part of the V that’s the closest to you is the front loop, and the other one is the back loop. Working in the back loop will create a small line around the outside of the cowl. You’ll be working in the front loop when slip stitching the ruffle on. 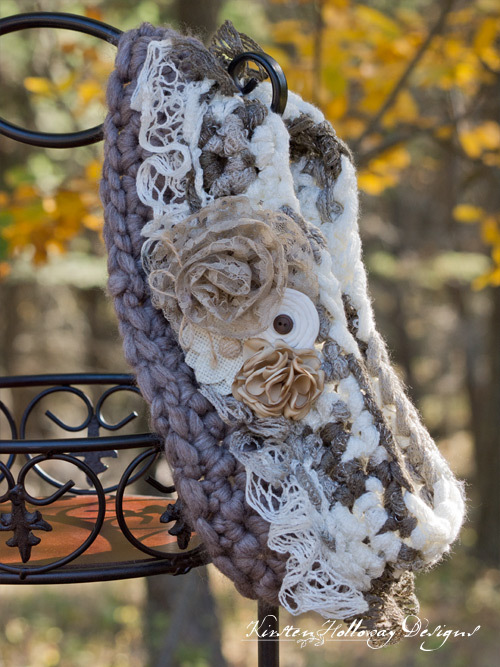 This cowl will fit pre-teens/teens and adults the way this is written. If you would like to make it to fit kids, reduce your starting chains by two or four stitches. This would give you a starting number of 26 or 28. You could even make it smaller, but you may want to leave off row four or seven, depending on how small the child is. Because of the danger of choking, please do not make this with the glue-on/sew on flower accessory for children ages three and under. Ch 1 at the beginning of a round does not count as a stitch. Join next color through last sc stitch of Round 4. Pull the old color forward so the end is hanging out the front of the cowl. Don’t cut it yet! Join the new color with a sl st to first sc of round. Now you’re ready to begin Round 5. Round 6-7: ch 1, sc in each stitch around. Join with sl st to first sc. Fasten off second color. You can either fasten it off with a slip stitch, or try this invisible join. If done correctly, you won’t be able to tell where you joined the round when you finish. Go back to Round 4 and pick your first color back up (your cowl should still be upside down). Note: If you have made a typical “Sashay” scarf before, this next part will be very similar to the steps you took to create that project. Using an 8mm hook (a smaller hook of your choice should work if you don’t have an 8mm), sl st into the front loop and pull up the thick part of the Sashay yarn, move forward an inch or inch and a half, and put your hook through the thick part of the yarn and pull it through your first loop, move to the next stitch *2 sl sts in each front loop only, being sure to move an inch or so up the Sashay yarn each time* repeat * to * in each front loop around, this will create a ruffle around the middle of the cowl. If you’re a kid, ask an adult to use hot glue to attach a bow or flower accessory to the cowl, or use a needle and thread to sew the accessory on. If you’re an adult, you’re on your own. 😉 If you use a hair clip bow like I did, you can simply clip it to the cowl. The nice thing about this is that it can be unclipped and worn separately when not wearing the cowl. I love things that have multiple uses! I hope you have had fun with this tutorial!